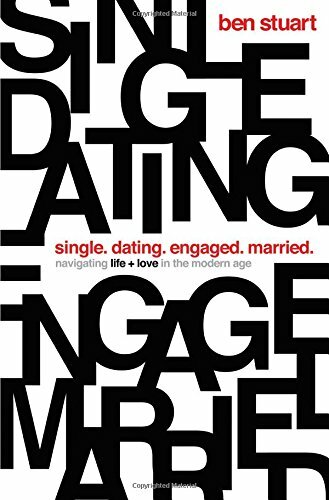 Single, Dating, Engaged, Married: Navigating Life and Love in the Modern Age by Ben Stuart is an intriguing book on navigating four of the most common relationship statuses and stages in life God’s way. This is sure to be an enlightening and fantastic book for teenagers and young adults who want to learn more about relationships from a godly perspective. I have to be completely honest, the majority of the concepts explored throughout the book are the “tried and true” things that many people have heard before on these topics. However, that does not make this book one to be discarded or ignored. It just needs to be presented to the right audience. In my opinion, that is primarily going to be teenagers and college-aged young adults. The concepts shared in this book are likely to be very valuable to them, especially during such a season in their lives. If you’re new to studying different relationships stages and how to maneuver through them in a manner that will honor and please God, this is a book that you don’t want to ignore. However, if you are quite familiar with the topics presented in this book, you may not discover much “newness” here. A couple things that I enjoyed most about this book are Ben’s genuine approach and desire to help readers navigate their relationships in a God honoring way, as well as the case studies presented at the end of each section. Within the case studies, Ben uses people from the Bible to illustrate the concepts discussed throughout the section’s chapters from a practical perspective. I liked that he even shared new insights within the case studies, rather than repeating what was already explained within the chapters. I can’t lie, the sections in this book are not created equal. I firmly believe that the section on dating is by far the best and truly changed my perception of this book. I found it challenging to connect completely with Ben’s perspective on singleness. I felt like the section on engagement was an afterthought and just brushed passed a few important points for readers to consider. And the section on marriage was impactful, but very surface level. With all that being said, I found the section on dating to be so intriguing and enlightening that I was able to look past all those other knocks. It was truly the saving grace of this book for me. I honestly believe this book is worth reading for the dating section alone. Readers can definitely learn a lot from the other sections of the book, depending on their familiarity with the topics, but the section on dating is a game changer! I will be referring back to this book and recommending it to others for that section of the book alone. This is a fascinating book that is definitely worth reading!